Madrid April 16 (IANS) Spain s Rafael Nadal remained in the number one spot in the men s Association of Tennis Professionals world singles rankings released on Monday with 8 770 points. 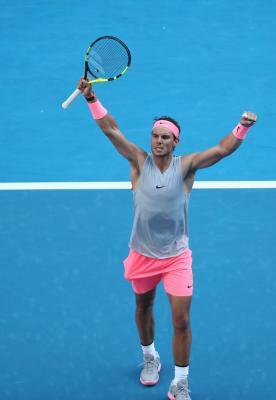 Nadal dethroned Switzerland s Roger Federer the 20-time Grand Slam champion who fell to the second place after he lost 3-6 6-3 7-6 (4) to Australia s Thanasi Kokkinakis at Miami Open s round of 64 in March reports Efe. Croatia s Marin Cilic came in third in this week s top 10 that witnessed no changes ahead of Germany s Alexander Zverev. Spaniard Pablo Andujar meanwhile jumped 201 positions to the 154th after he defeated Briton Kyle Edmund 6-2 6-2 in 83 minutes at the Grand Prix Hassan II in Marrakesh to win his fourth career title. 10. David Goffin (Belgium) 3 110.